McDonald’s Golden Arches are tarnished these days. Its brand has been damaged by a food safety scandal in China and labor issues in America. Its stock price of late has severely lagged the S & P 500’s performance, a result of poor sales growth. To restore the shine to those arches, it’s time for the fast-food behemoth to chart a new course: one that acknowledges the growing consumer demand for Good Food, grown as close to home as possible, by sustainable, humane, and fair producers. The seeds of this transformation may have already been planted. McDonald’s has been moving steadily towards sustainable sourcing of its ingredients. The company already purchases all of its seafood from green suppliers, and it has set goals to buy all of its coffee, palm oil, and fiber-based packaging from certified sustainable sources as well. They offer veggie burgers and organic milk in some markets, and plan to add more fruit and vegetable options in the U.S.
Industry analysts state that McDonald’s is making these moves in response to competitive pressure from other restaurant chains that “get it.” Chipotle, the fast-growing fast-casual Mexican chain, is now the darling of Wall Street. Chipotle’s aggressive marketing focuses on how its “food with integrity” is superior to competitors’ ingredients that come from industrial sources. Panera, too, has been making major moves to clean up its sourcing and build transparency into its offerings. Then there is Chick-fil-A, a rapidly growing fast-food chicken chain whose image is not exactly that of a bastion of liberal thinking. When Chick-fil-A was lauded for its decision to source antibiotic-free chicken, it was another clarion call for McDonald’s CEO Don Thompson to move on this issue. The emphasis on clean sourcing, transparency, and sustainability shown by those chains is not only better for the planet, but it is also better for business. According to Advertising Age, up to 80 million young people in America place a premium on these attributes in their food. “Millennials place a high value on attributes like social responsibility, sustainability, local, organic, grass-fed and hormone-free offerings when it comes to dining out,” wrote Advertising Age. Obviously, as a business built on hamburgers, McDonald’s could make its biggest impact by shifting dramatically toward sustainably produced beef. The company is taking a step in that direction, announcing it will buy some of its beef from sustainable sources by 2016. To make this happen, McDonald’s has paired up with Walmart and other industry and non-governmental organization (NGO) partners to create the Global Roundtable on Sustainable Beef (GRSB), whose goal is to develop a beef value chain that is environmentally sound, socially responsible, and economically viable. These comments explore ways that McDonald’s and GRSB can better address climate change, land conversion, fresh water conservation, soil health and wildlife habitats, feed crop production, manure management, and use of pharmaceuticals to maintain animal health and welfare. This indiscriminate use of antibiotics has critical human health consequences, as it is reducing the effectiveness of these miracle drugs. The New York Times reported in 2013 that “two million Americans fall ill from antibiotic-resistant bacteria every year and 23,000 died from those infections.” Many leading medical authorities including the World Health Organization, American Medical Association, and the Center for Disease Control are calling for a ban or severe restrictions in the use of antibiotics in animal production. If the 800-pound gorilla of fast food were to direct its suppliers to phase out the use of antibiotics over the next five years in all areas of its protein sourcing — beef, chicken, pork, dairy, and eggs — it would have a seismic effect on food production in America. A good analogy for this is McDonald’s own response to complaints about gestation crates. Just a few years ago, these inhumane confinement systems for hogs were ubiquitous in large-scale pork production. But pressure from animal welfare groups persuaded many big buyers, including McDonald’s, to stop purchasing pork from producers who used crates. As a result, this cruel practice is quickly heading towards extinction. McDonald’s also was a pioneer in working with activist Temple Grandin to implement humane animal welfare practices, and now much of the food industry is following suit. By purchasing all of its seafood from certified sustainable sources, McDonald’s has set the stage to develop solid systems of transparency for all of its green sourcing. In this realm, its strategists should take a hard look at the systems developed by Whole Foods Market to quantify sustainability in many categories. 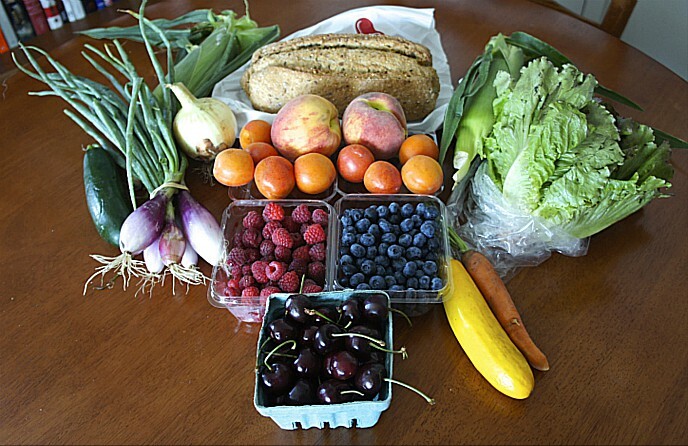 Whole Foods has become the market leader in natural and organic supermarkets, much because of its role encouraging and developing markets for food that is certified for key sustainability attributes. If McDonald’s were to adopt similar systems across the board, it truly will be a historic and revolutionary move — one that will burnish its reputation as a good corporate citizen and provide a huge boost to efforts to ensure that everyone has access to affordable, healthy food produced in a way that’s good for the planet. On the other hand, resisting change or simply failing to act would be a high-risk strategy for McDonald’s in a fast paced marketplace that includes many buyers who demand good food. Watchdogs will dismiss the smaller steps they take as a fig leaf. Their market value on Wall Street will continue to erode. Young consumers will shun them in greater numbers. It will be so much better for the nation, for our food system — and for McDonald’s itself — if this iconic American institution chooses the better path. 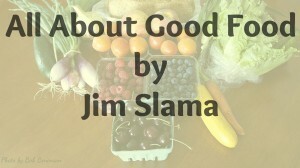 Jim Slama is the president of FamilyFarmed.org and founder of the Good Food Festival and Conference. You can follow him on twitter @FamilyFarmed. This entry was posted in Antibiotics in meat, Fast/casual restaurants, Livestock farming, Meat, Sustainable dining, Sustainable food retailing, Sustainable food systems and tagged antibiotics in meat, Chick-fil-A, Chipotle, fast food, Good Food movement, McDonald's, Panera, sustainable fast food, sustainable meat. Bookmark the permalink. 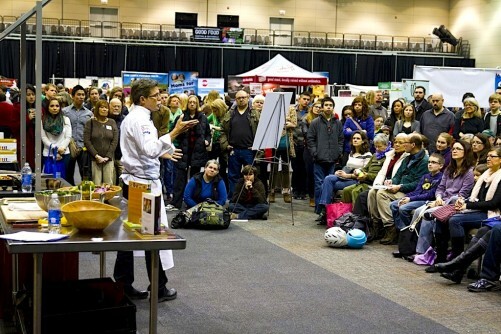 ← Let’s Discuss: Does Food 2.0 Have a Place at the Table? It’s easy to have that knee-jerk reaction of thinking “Why bother with McDonalds? Support a local butcher or livestock farmer directly.” On the one hand, I do believe that those who are able to relocalize their meat consumption and support nearby producers and processors should; on the other hand, this is critical for those who don’t have that privilege. Again, it’s hard to believe that supporting the production of meat at the scale McD’s and other industry behemoths demand is in any way sustainable — but surely any steps they take from the status quo are an improvement. Thanks for the article! Great, Informative article! It was well researched with a wealth of source support documentation if people are interested in further follow up. 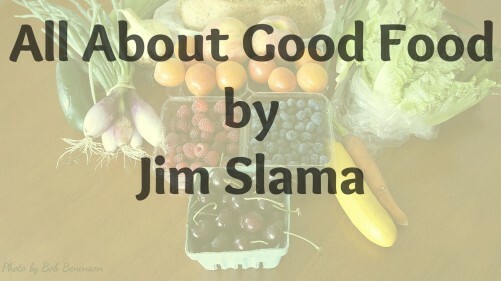 Personally, Jim makes very valid points and gets the thinking going as to why not integrate more healthful and local sourced, even regional specialties? Maybe McD has some franchise clauses or liability insurance issues but surely as he noted Whole Foods is certainly founded on and still embracing local and healthy, and the market is a resounding yes to this model , so McD and other chains would be wise to take note and get on board I’d say asap. Thank you for your comment, Cathy!